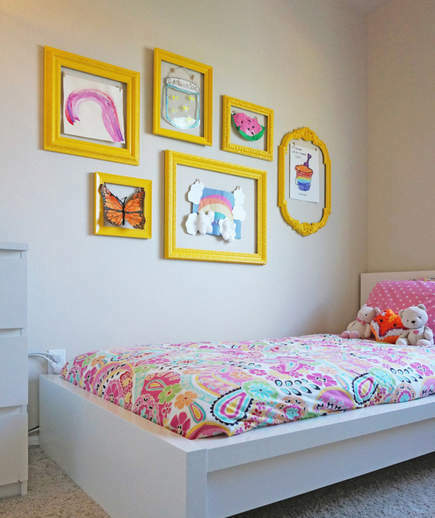 This is a great idea for art that doesn’t typically fit in a normal frame—especially if your child’s drawings have 3D elements like cotton balls or pipe cleaners. Take some old frames or buy a few cheap ones at the craft store and cover them in spray paint for a uniform look like these from . String across the frames and hang pictures from it with tiny clothespins. 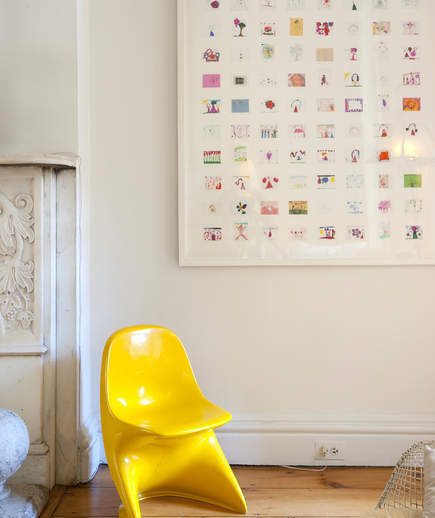 It makes it easy to switch out artwork as your child brings more home, too. 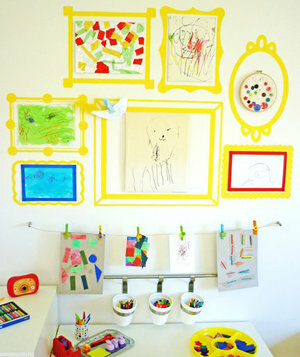 This idea from is one of the easiest and least expensive ways to stylishly display your kid’s artwork. All you need is twine, clothespins, and some nails. 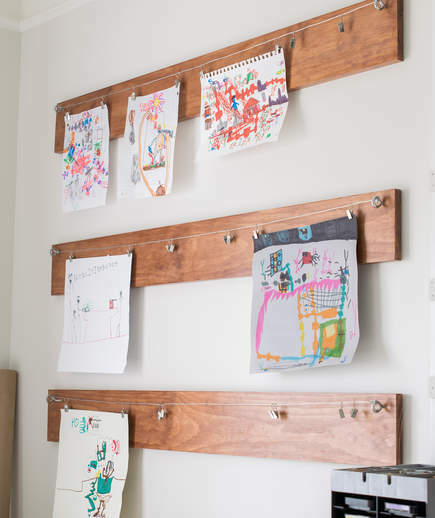 You can also make it into another art project by having your kids decorate the clothespins with paint before you hang the drawings up. 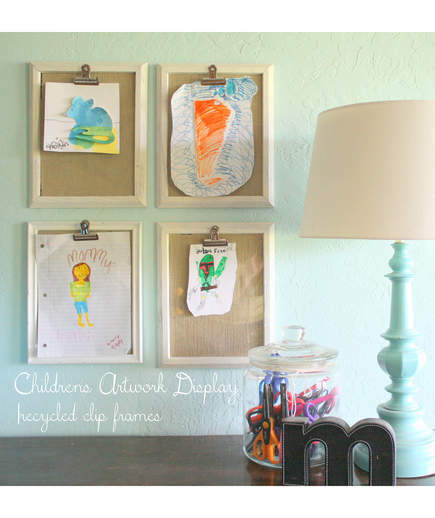 Create “clipboards” with recycled (or inexpensive) frames to showcase drawings. Wrap the frame’s glass in linen or other fabric for a cleaner look, and then glue metal clips to the frames. See the how-to from . This one is a big investment, but think of it as a professional piece that you can have for years to come. 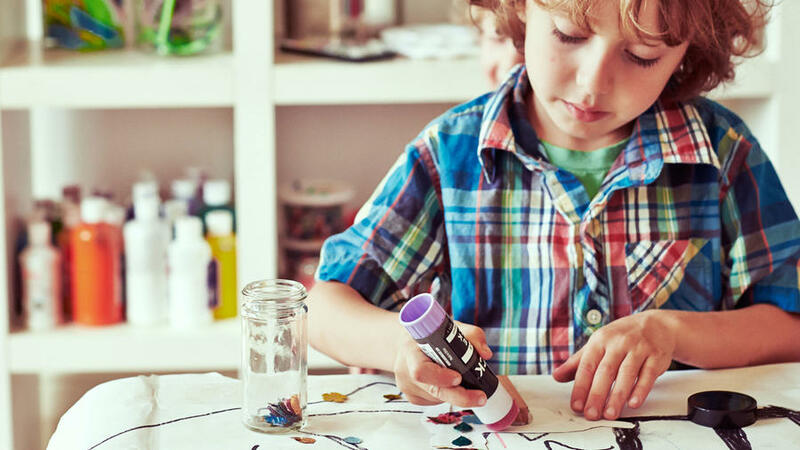 will archive your child’s collection of artwork and create a collaged print with smaller images of your child’s artwork. You send her and her team the art, which will be returned to you once the print is made. For a rustic look, take some stained wood boards and hang them horizontally on the walls like this display from . On each board, place eyelet screws on the ends and string wire from them. Attach clips to the wire to hang photos and other mementos. 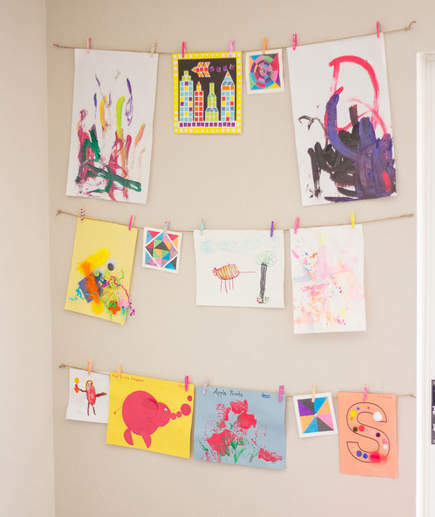 For a low-commitment gallery wall of your kid’s artwork, place some temporary decal frames on a blank wall—or create “frames” from washi tape or paint like these from . Hang the art with pins or tape.